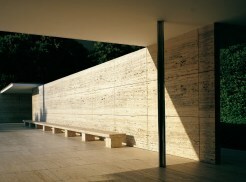 The film documents the 1986 reconstruction of the Barcelona Pavilion, originally built in 1929 as the German Pavilion for the International Exposition. Though demolished in 1930, it remained profoundly influential thanks to the power of photography. Designed by Mies van der Rohe in collaboration with Lilly Reich, it is revered as a seminal modernist landmark.